Here at Abbey Glass, we pride ourselves on using glass materials from only the best providers, ensuring that our customers receive a quality service throughout the process from design to installation. That’s why we use products from REHAU; in this article, we explain who REHAU are, and why we choose to supply their window and door systems. REHAU were one of the first companies to produce and sell uPVC windows and doors in the UK. Founded in Germany in 1948, the company now manufactures all of its UK products in a state of the art plant based in North Wales, providing quality designs to enhance your home. REHAU design their products to achieve both style and functionality, with all their windows and doors providing energy efficiency and a durable product that will last for years. 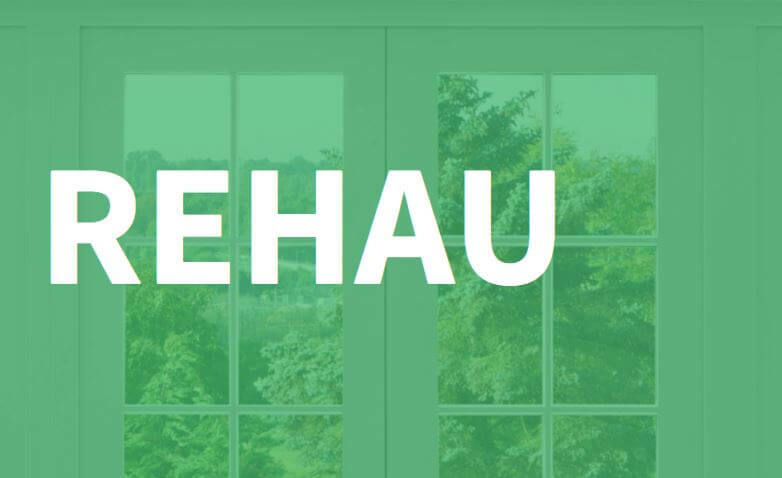 What’s more, REHAU ensure they offer an environmentally friendly solution when you choose your windows and doors with them by periodically reassessing standards and processes to ensure they can lower their carbon footprint and champion environmentally safe products as much as possible. Low maintenance: REHAU products are manufactured using a compound that creates a smooth, durable finish for every product, guaranteeing that they provide a low maintenance solution for your home that will last for years. Security: Abbey Glass use REHAU products because of their quality design to ensure strength and durability is provided. The window and door systems are also made to comply with standard security regulations, enabling them to receive a Secured by Design (SBD) certification. Reduced noise: REHAU windows are double glazed, providing the added benefit of insulating your home, as well as cutting down the outside noise levels by as much as half – allowing you to enjoy privacy in your own home. Energy efficient: REHAU windows achieve an ‘A’ rating, which means they have the highest energy rating, meaning that your home’s heating bill can be significantly reduced due to the improved insulation. For more information about the glass products we provide here at Abbey Glass, simply contact our friendly team today and we’ll be more than happy to assist you.